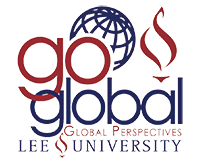 The Global Perspectives office at Lee University exists not only to help students facilitate their cross-cultural experience, but also to serve the faculty and staff by educating about cross-cultural experiences, providing resources and guidance for those who seek to develop domestic and international cross-cultural experiences, and offering classroom presentation. Faculty are encouraged to propose and develop programs based on locations and courses of interest, even if they do not have previous experience leading a study abroad program. The Global Perspectives office is prepared to share resources and help faculty step by step through the process of creating and leading a study abroad cross-cultural experience. Administrators and staff are also welcome to participate in leading cross-cultural experiences with students. Those without teaching credentials can serve as trip directors and chaperones working with a faculty member who is certified to teach the courses.